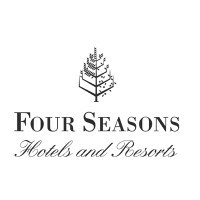 Four Seasons Hotels, Inc. is a Canada-based luxury hotel company. Both Travel + Leisure and Zagat Survey named the chain the top luxury option in the industry. Conde Nast Traveler readers voted the Golden Triangle hotel in northern Thailand their favorite in the world for three years in a row. Become a part of the company’s amazing legacy by filling out a Four Seasons application. Beyond being an amazing service, the company has been recognized for its unique career experience. Fortune Magazine placed the Four Seasons on the list of “100 Best Companies to Work For” every year since the list was created. The company also has one of the lowest employee turnover rates in the hospitality and tourism industry. The company has a unique business model in that it does not own most of its properties. Instead, it operates the buildings on behave of real estate owners. The hotel earns three percent of the gross income and five percent of profits from the property. The property owners most contribute money to sales, marketing, and reservations. Four Seasons is dedicated to philanthropy. It focuses on sustainability, building communities, and researching cures to cancer. In fact, the company was one of the founders of Terry Fox Run, which is the world’s largest single day cancer fundraiser. The property in the Maldives collaborated with local environmental agencies to create Seamarc/Marine Savers, which is a program to save coral reefs. Isadore Sharp, the Founder and Chairman, is dedicated to treating guests, customers, business associates, and colleagues with respect and kindness. He believes the key to a positive work experience in Four Seasons jobs is treating everyone how you want to be treated. This mindset has won the company many employment awards. In hiring, the company is looking for diversity, as it is an Equal Opportunity Employer. There are many locations, so Four Seasons jobs give you the chance to travel the world. Starting Four Seasons careers means starting on the journey of becoming a hospitality professional. There are many chances to learn and move up in the organization. How old do you have to be to work at Four Seasons? The minimum age for Four Seasons careers is 18 years old. There are chances for students to learn about the company. You can intern, giving you a look at the responsibilities of various job through the Manager in Training Programme or a traditional Internship. Four Seasons provides its employees with benefits. These include peer growth opportunities, a strong working culture, and a training program. You will also experience a competitive salary, complementary stays at other hotels, discount meals, paid vacation, educational assistance, and medical insurance. There are also employee social events and an employee-dedicated restaurant. Host/esse – You will seat guests at tables, review guest reservations, and make recommendations about the set-up of the dining room. You must answer phone calls and help guests with all of their needs. Each day, you will inspect the menu to make sure it is of high quality. For this job, you need a high school education, proficiency in English, and previous experience. Reservations Agent – You sell resort amenities. This means you capture sales over the phone and coordinate details of each reservation. To do this job, you must have experience in customer service, excellent phone skills, and the ability to multitask. In sum, you are the face of the brand and the point person for guests. Housekeeping – Ensuring that the rooms are clean is one of the most important jobs. The job description includes needing to be able to talk to customers, be meticulous, and work with others in the team. The salary begins at minimum wage, but there are job opportunities to move up into management. Server – You will work in the restaurant, helping customers. You job is to make sure that customers have a positive experience. You will do this by working hard to answer questions and bring whatever is asked for. Therefore, you need to be good at interpersonal skills and customer service. You will have a base salary, but can expect tips. Part of your Four Seasons application is the interview, which you should prepare for. What are your career goals? The interview wants to get a sense of why you want this job and what your ambitions are. It is important to show how this job is a part of you plans for your future careers. However, it is okay to say that this specific job is not your ultimate goal, as long as you show how this position is relevant. What are your hobbies? This question does not seem relevant to the job, but it is a way for the interview to get a sense of whom you are. Showing that you have things outside of work that you are passionate about is important. After all, every employer knows that your work is not everything to you. Are you a leader or a follower? Either answer is fine as long as you show how you are a leader or a follower. Telling a story about a project or group you were a part of could help answer this question. You do not want to give a one-word answer. What is your availability? You have to be honest and upfront about how you can work. Similarly, do not apply for a job with specific hours if you cannot fulfill them—you are just wasting the company’s time. It is important to be honest about your schedule when you are negotiating initially. How would you fire someone? You want to be a firm, yet understanding leader. You should explain why you fired this person, how they could have done their job better, and recognize that this is a difficult situation. Showing compassion, kindness, and respect is important in all positions—especially a position of power. There are two parts of how to apply for Four Seasons online. The first step is the Four Seasons job application online. In this document, you want to show that you are competent have relevant experience on your resume. If you seem like you will be a skilled employee, you will get an interview. Therefore, in your application form, you want to be clear and thorough. If you are offered an interview, that is very exciting. Then, you want to buckle down to prepare. This is the most important part of the process. After all, anyone can apply online of complete a direct application. To stand out in your interview, you will need to show off an exemplary personality and a knowledge of the company. During the interview, you should try to find things to talk about that are in your online application. The interviewer read your free application and is looking to get more information about you. Therefore, you should show off your personality, interests, and intelligence. Thinking of answers to common questions before the big day can help you do this. There is no printable application for Four Seasons. This means you cannot apply for jobs at Four Seasons locations. Instead, everything you need to know about the company can be found with the link below. This means that you need Internet to access applications and to look at Four Seasons jobs online. If you really need a printable application form or a download application form, call the company directly. DoubleTree: For career opportunities, fill out the DoubleTree online application. Renaissance: See this page for jobs at Renaissance. Hyatt: See our resource page for more information on Hyatt careers. Omni Hotels And Resorts: Use the Omni Hotels And Resorts job application to apply here. Best Western: Visit the Best Western application.